Eckert & Ziegler is one of Europe’s largest manufacturers of isotope products. Together with the Association of Nuclear Medicine (EANM), the umbrella organization for nuclear medicine in Europe, it supports young scientists with travel grants to the annual EANM congress. Five awards of EUR 1,000 each will be given for outstanding abstracts of presentations scheduled to be presented at the next annual meeting. 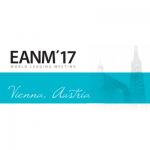 The award ceremony will be held during the EANM congress in Vienna on October 24, 2017. Submit your abstract on http://eanm17.eanm.org and click the Call for Abstracts button during the submission process. Application is restricted to EANM members who are 38 years of age or younger. The closing date for applications is April 25, 2017.